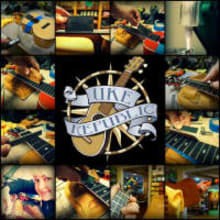 Since 2007, UKE Republic continues to be one of the foremost exclusive ukulele dealers. We curate only quality brands that have proved to be consistent in fine craftsmanship and materials. We quality check and setup every ukulele that we sell for optimal sound and playability. Our world famous personable customer service rewards us with return customers that become our part of our ukulele ohana. We promote music and community with onsite workshops, performances, get-togethers, and fun events.